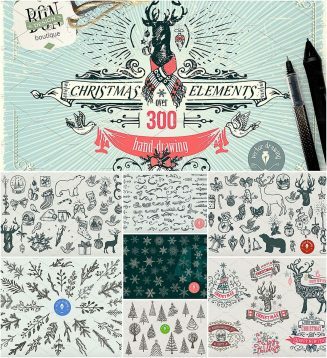 Set of 300+ hand-drawn illustrations for Christmas cards and others design products. File format: .ai, .eps, .png, .psd, .pdf for Photoshop or other software. 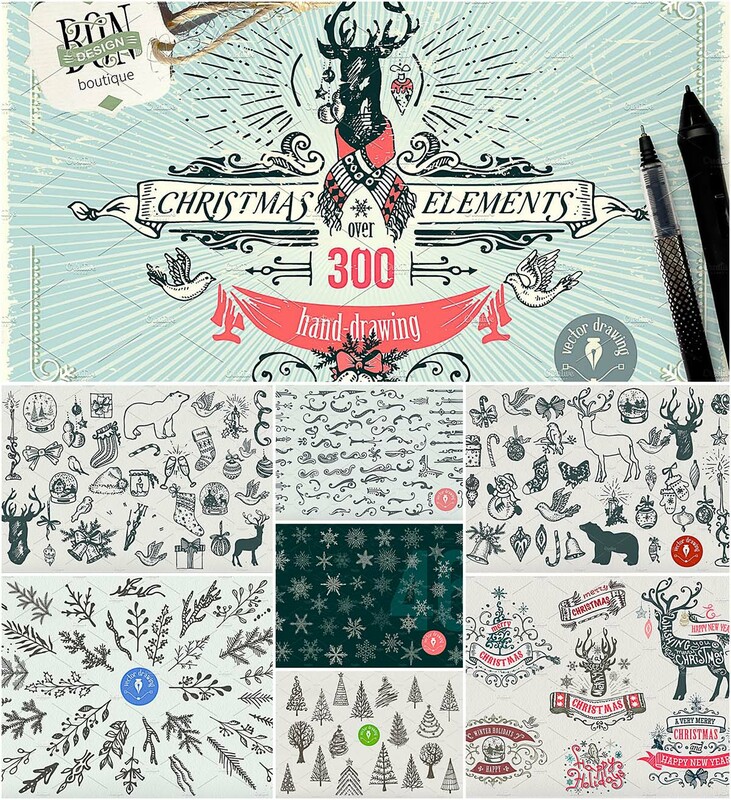 Tags: Christmas, deer, holiday, rustic, swirl, tree, winter.